The Project Coordinator (PC) – is responsible for overall project management (technical and operational), communication and reporting to EACEA, efficient use of the project grant, etc. Steering Committee (SC) – decision-making body consisting of one representative (preferably the contact person) from each partner institution. SC will meet approximately twice a year (in combination with other project events due to cost efficiency) to discuss and review the progress of project activities, make decisions, approve deliverables and agree on any risk contingency measures. Scientific and Technical Committee (STC) – composed by one representative for each University involved in the project. It will be responsible for need analysis, guideline development, training needs and contents, capacity building….etc. Project Support Team (PST) – consisting of three members will be responsible for assisting the Project Coordinator in daily management activities. Quality Assurance Project Team (QAPT) – consisted of 5 members from partner institutions experienced in quality assurance. The QAPT team is a direct support to the Project Coordinator in monitoring and assessing the quality of the project and its results, as well as development of Quality Control and Monitoring Manual. WP leaders – responsible for monitoring of the overall progress of the WP and its activities. Activity leaders – are in charge of monitoring the assigned activity, ensuring its quality level and timeliness, and active participation of other partners. 1 – First steering committee meeting held in Amman – Kick off meeting , 25th – 26th Feb 2016. 2 – Second steering committee meeting held in Brussels – ULB – Belgium, 3th – 6th Oct 2016. 3 – Third steering committee held in Navarra – UPNA – Spain, 8th – 10th March 2017. 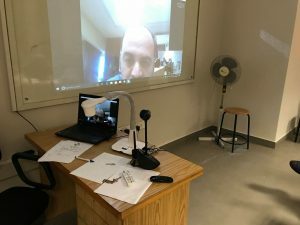 4 – Fourth steering committee held in Monastir University – UM – Tunisia, 20th – 22th Sep 2017. 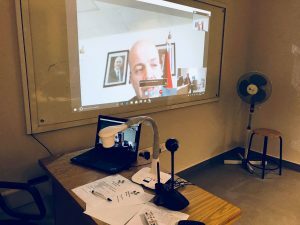 5 – Fifth steering committee held in Manouba University – UMA – Tunisia, 14th – 15th April 2018. 6 – Sixth steering committee held in Alicante – Agora – Spain, 18th – 20th Sep 2018.